It is not lost on me that I have yet to "cook" anything here in the cove... but I will! Don't begrudge me a sweet tagline that has alliteration. Food Fjord just doesn't have the same ring. Fruit, cheese and crackers make a deliciously cohesive trio. Don't let this simple appetizer fool you. It is good! I have served it while having friends over, before holiday feasts and even at a batchelorette party. 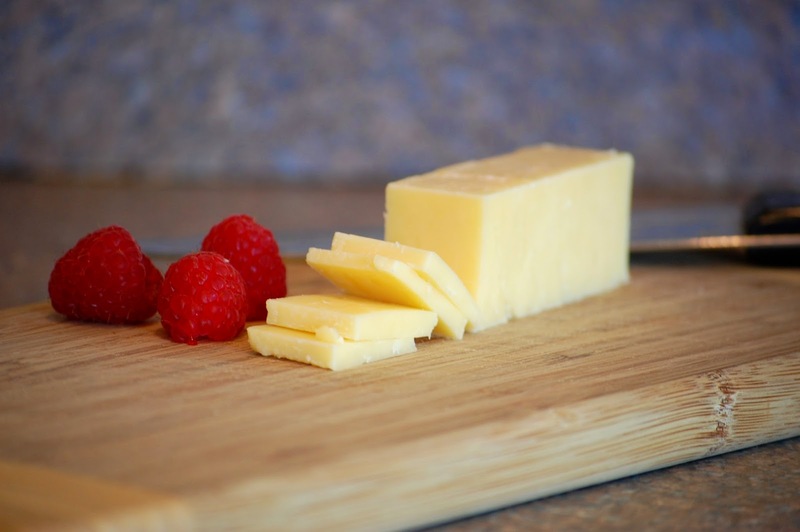 A great aged white cheddar (or any artisan cheese of your liking)- I use Kerrygold Reserve Cheddar. It has a lovely sharp flavor, a bit nutty and this great texture with a slight cruch. Sounds bizarre but it is dreamy, give it a go! Fruit paste- Rutherford & Meyer has several wonderful flavors. 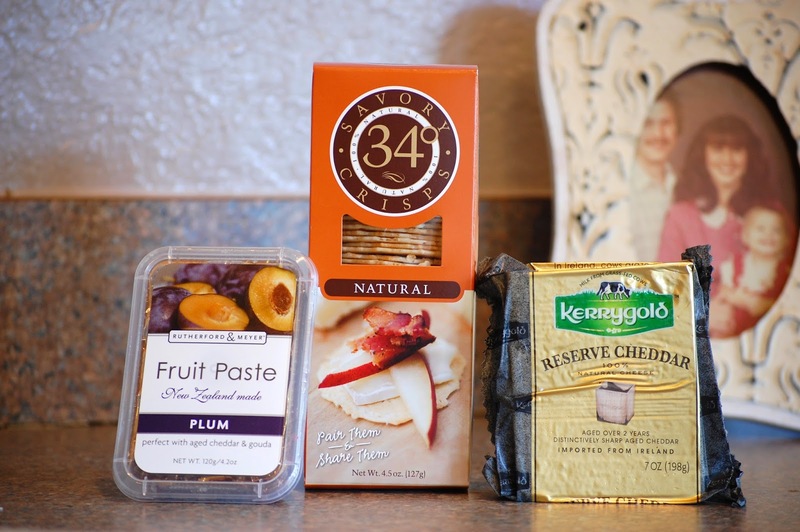 I prefer plum with the white cheddar, but feel free to experiment wth different fruit and cheese combinations. Slice the cheese, slice the fruit paste (it is very hard and gelatin like in texture, easy to slice and hold), assemble and enjoy. 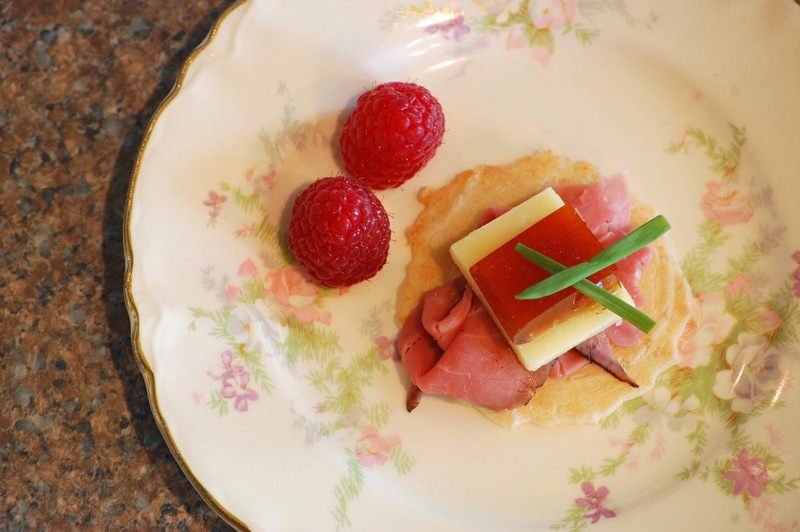 For a more robust treat, I draped a thin slice of Boar's Head Londonport Roast Beef on the cracker then topped with the cheese and fruit. Angels fell from the sky in rapturous chorus. Then I ate it all. "Angles fell from the sky in rapturous chorus." Angles?! What angles?? (Ummmm... Quickly running to edit). I swear I proof read but I always miss something! Pizza can inspire the same effect too. What toppings? The Viking in you would like that :-) the mermaid in me shivers! Although I would love to see a real fjord one day. One of my aunts is Icelandic. I love talking to her about her culture. We just had sausage and pepperoni last night. Hubby likes mushrooms and all that extra stuff, but I don't. Whenever I dabble in genealogy, it's hubby's dad's side of the family I *really* want to research because they were from Iceland and Sweden/Norway. Seems much more interesting than the usual German and Irish in the rest of the family branches. It is!! I have a mini infatuation with Iceland. I even hosted an Icelandic play date once where I served skyr and black licorice from Iceland, we made arctic fox masks and stuff. My grandfather went there to visit my aunt and uncle and speaks of how beautiful it is. The hot springs and neat homes semi-underground with grass growing over the roof. The northern lights. Beauty. I agree!!! Hubby and I will totally eat cheese, pickles and crackers for dinner if we aren't that hungry and/or lazy. I will bring the aged cheddar if you bring the cool KBshimmer glitter top coat to Deb's.